For this new season, the clear ambition is to confirm these remarkable performances with eloquent results. In 2019, the Italian brand from Lissone celebrates 60 years of rich history of passion and success. This will be the perfect moment to prove the organisation’s knowledge and roots in racing. 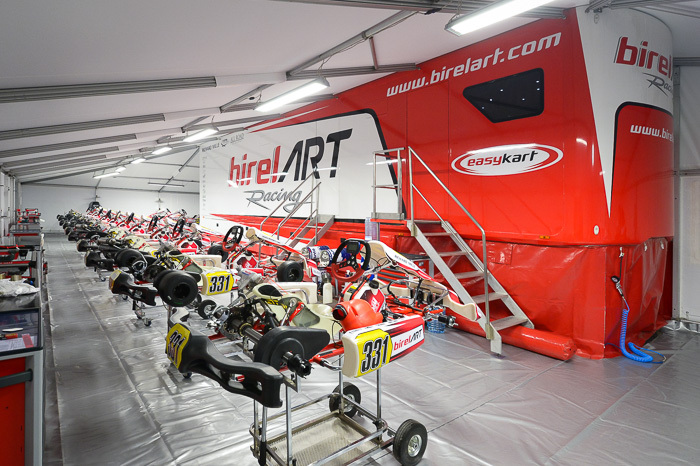 "Birel has evolved a lot in recent years," says Ronni Sala, President of Birel ART Group. "With new partners like Nicolas Todt, we have been able to accelerate the modernisation of our production unit and increase the quality of our products. The arrival of Davide Fore as manager of the Racing Team last year stimulated the whole team. We have the potential to go for great victories in 2019. We have also recruited new drivers to achieve this goal despite the many uncertainties of racing. It would be a great way to celebrate the 60th anniversary of the Birel brand founded in 1959 by my grandfather and great-uncle". The 2019 Birel ART Racing Team squad looks great. Three drivers share the top billing. In KZ, the fast Marijn Kremers (NLD) will continue his momentum alongside a new recruit, Alex Irlando, the talented and experienced Italian driver, the winner of the KZ2 International Super Cup in 2016, who will also race in OK.
Riccardo Longhi (ITA) will spearhead the team in KZ2 with his team-mates Leonardo Marseglia (ITA), Alexander Dahlberg (SWE), Jules Mettetal (FRA) and Pierre Loubere (FRA). The revelation of 2018, the young Italian Luigi Coluccio will try better his superb 3rd place in the OK World Championship, a challenge that his rapid progression makes quite possible. He will be joined in the OK category by Canadian Thomas Nepveu, Thailand's Thanapongpan Sutumno, Italian Biagio Ruvolo and Japan's Turbo Asahi. In the OK-Junior category, Cristian Bertuca (ITA) will make his debut moving up from 60 Mini, while Elliot Vayron (FRA) will arrive with Junior experience in France. Selected by the Richard Mille Young Talent Academy last December at Lonato, Julia Yacoub (BRA) and Maya Weug (ESP) will also be part of the Birel ART Racing Team, respectively racing in OK-Junior and OK. The 2019 programme will focus on all FIA Karting competitions for the whole team, as well as the Winter Cup and some WSK Promotion races for some of the drivers.